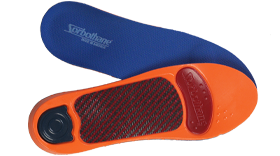 Sorbothane, Inc. has been a successful manufacturer and supplier of performance insoles to the athletic and medical markets for over 30 years. 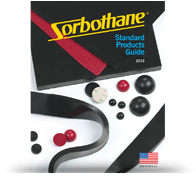 Sorbothane, Inc. is dedicated to providing a superior American made product - using domestically sourced materials - designed and produced by our team of American workers. Developed by materials scientist Dr. Maurice Hiles to mimic the body’s natural ability to protect against impact shock - Sorbothane® is a one-of-a-kind proprietary visco elastic polymer. 100% unique - Sorbothane® is a solid that naturally ”flows” like a liquid - Sorbothane® absorbs impact shock and provides more comfort than any other insole material. Sorbothane® is a proprietary visco-elastic material. Read our whitepaper on the history of Sorbothane® and how it impacted sports medicine. 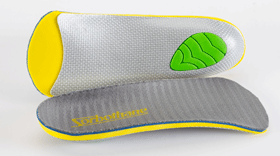 Sorbothane® insoles are recommended by doctors, sports medicine specialists and professional trainers for athletes of every level. 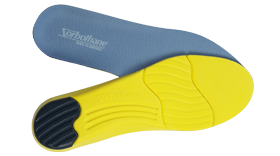 Sorbothane® insoles are your best defense against foot pain, back pain and impact-related injuries. All Sorbothane® Comfort & Performance Insoles are guaranteed to provide long-lasting comfort and shock absorbing protection. Classic Full Sole inserts are made of 100% Sorbothane® from heel to toe. The Classic absorbs shock and provides cushioning in a slim profile insole that fits most shoes, even those without a removable insole. Concentrated heel strike protection and focused comfort. 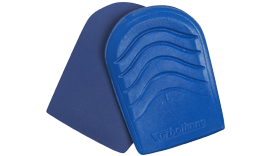 100% shock-absorbing Sorbothane® with a Poron® cover. Fits any shoe. Designed for Women - Sorbothane® Ball-Of-Foot Cushions provide all day and all night comfort. Stays in place. Soft top cover. Built to last - Maximum Duty Work Insoles absorb shock and provide long-lasting comfort. The Maximum Duty combines a molded air-infused foam base with a pure Sorbothane® heel inlay for shock absorbing comfort and impact protection. 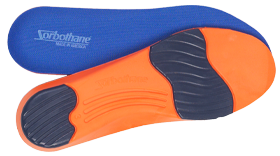 A strategically placed Sorbothane® metatarsal pad adds forefoot cushioning. Durable, comfortable and proven to help reduce pain. 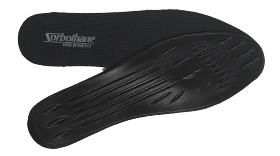 Ultra Sole® Performance Insoles absorb shock, return energy and provide long lasting comfort. The Ultra Sole™ combines a molded air-infused base with a pure Sorbothane® heel inlay for shock absorbing comfort and impact protection. Strategically placed forefoot pad works to return energy. 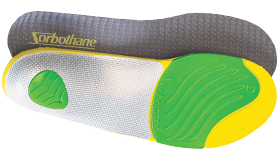 The Ultra PLUS is the next generation Sorbothane® Stability Insole. Featuring a custom integrated stability and support system plus the unmatched comfort and impact protection of Sorbothane®. The Ultra PLUS has heel and forefoot strike protection along with a deep heel cup for rear-foot stability. The 3/4 length Ultra PLUS features a deep heel cup and advanced arch support system to help with proper alignment and stability. 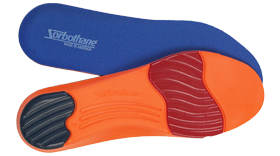 Additionally, a Sorbothane® heel insert provides long-lasting shock absorbing comfort and protection. Designed to fit in any shoe - the 3/4 Ultra PLUS insert delivers cushioning and support all day long. 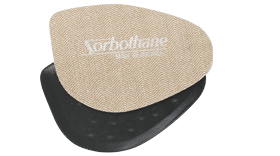 SorboAir® Replacement Insoles start with a base of air-infused Sorbothane® foam for lightweight comfort. Then a pure Sorbothane® inlay is added for heel-strike protection. 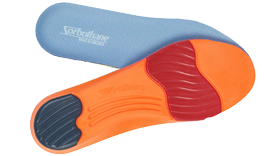 SorboAir® Insoles will provide long-lasting cushioning and protection stride after stride. The Women’s Ultra Sole® is designed for a woman’s foot and gait cycle. It combines a molded air-infused foundation with a 100% Sorbothane® heel insert for comfort and impact shock protection. The forefoot pad works to return energy. The Ultra Orthotic Arch™ (Medium) Insole combines graphite arch support and stability with comfort and impact protection. The molded air-infused base provides cushioned support while Sorbothane® inlays offer comfort and foot-strike protection. Long-lasting Ultra Graphite Arch™ Replacement Insoles maintain their stability and shock-absorbing benefits longer than any other premium insole on the market.